Last spring, we finally managed to visit Copenhagen. 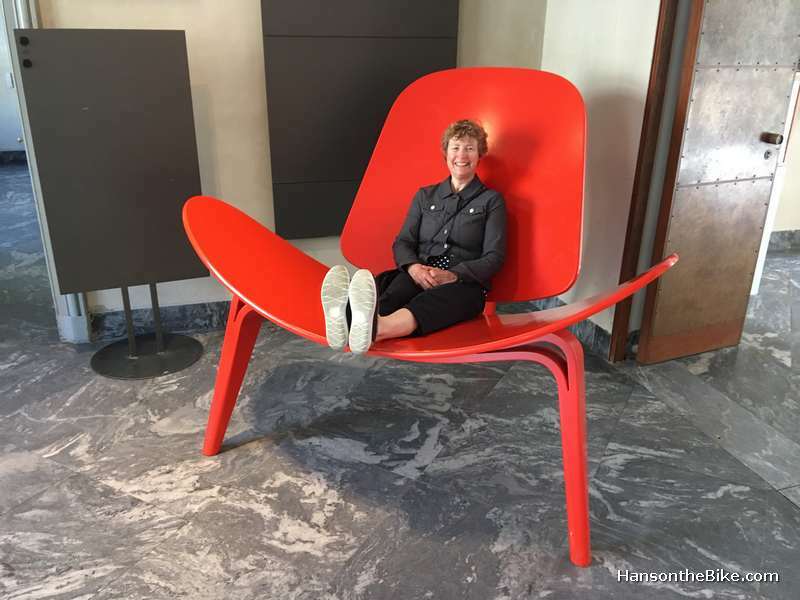 As the Scandinavian countries are known for being expensive and as the weather is similar to the Netherlands, if not colder, Scandinavia has never been on the top of the list. 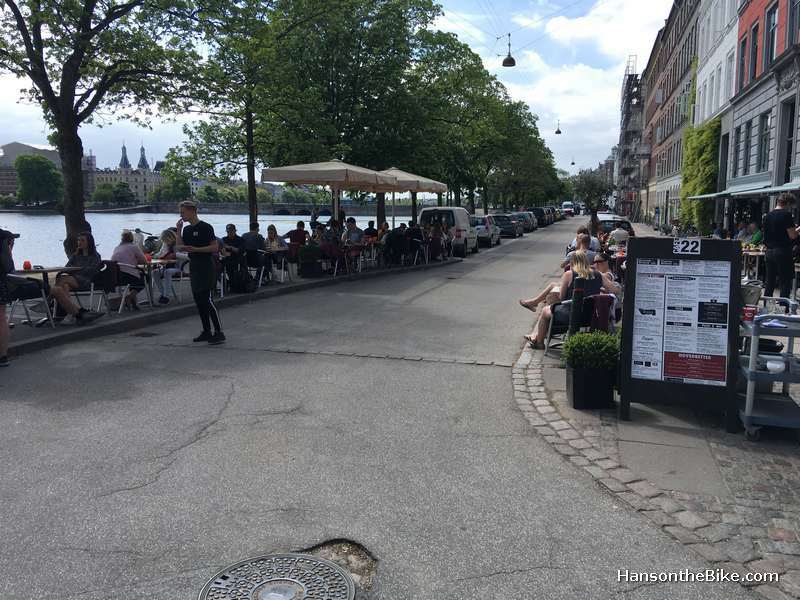 However, as it was cheaper to fly to Amsterdam from Montreal by choosing Copenhagen as a final destination rather than just fly to Amsterdam, the choice was not difficult. And being in cycling advocacy, one needs to see the hyped city at least once. For accommodation we looked into downtown but I didn’t feel like paying top dollars for a 40m2 1 bedroom without a balcony. 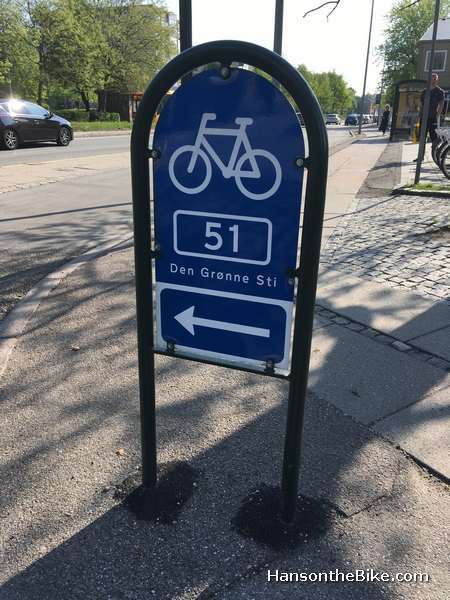 After a lot of searching and comparing on the internet, while getting the lay of the land of the Danish capital, we settled on an apartment about 4 km outside of downtown close to an arterial with bike lanes and close to public transport. One really doesn’t need (want!) a car in Copenhagen. 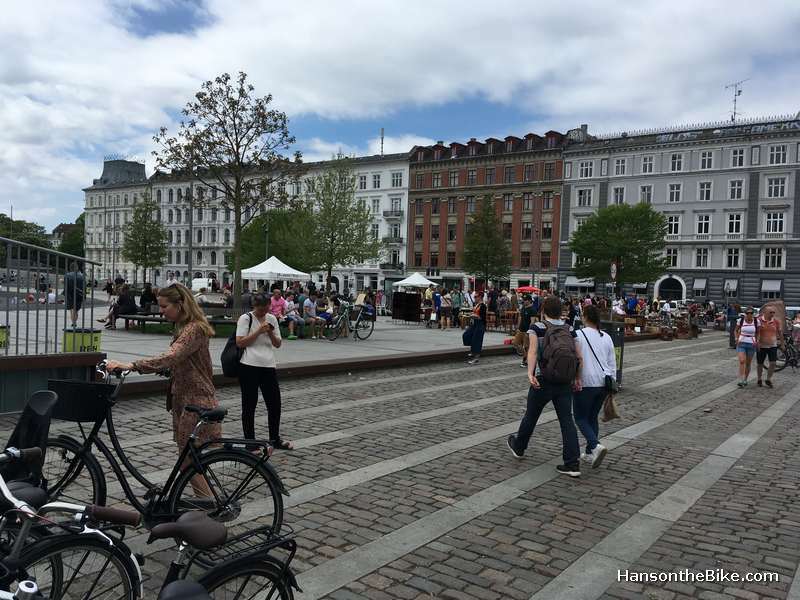 Our friend Joel, originally from Ottawa, gave us a three hour private bike tour through Copenhagen. 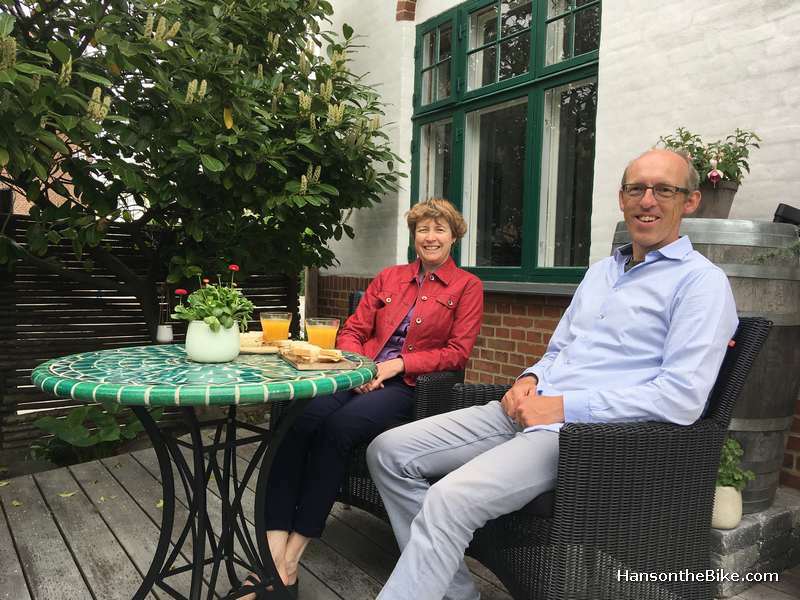 We spent a lot of our time just cycling around town, observing people and taking in buildings, parks and canals. 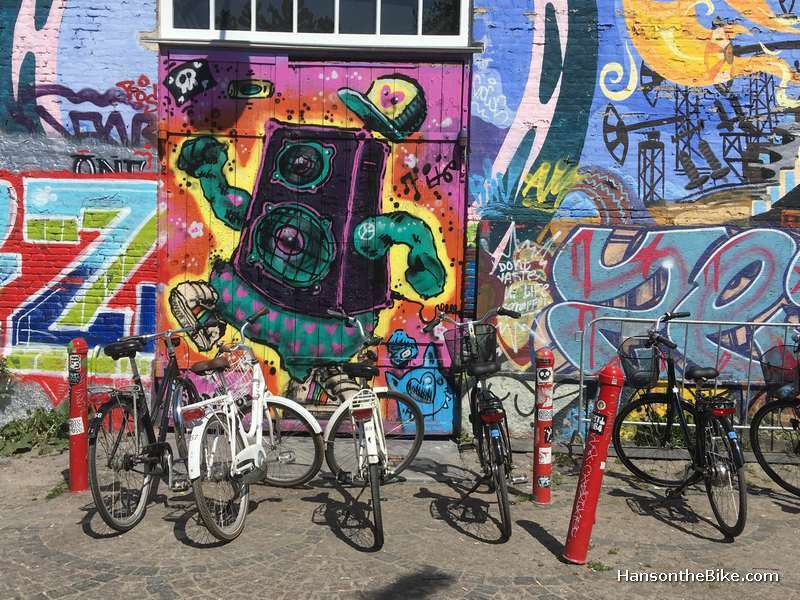 Copenhagen is not cheap. We don’t feel like sleeping in a bunk bed anymore, so we spent a bit more on accommodation, but we do prepare our own food, saving lots of money in four days. 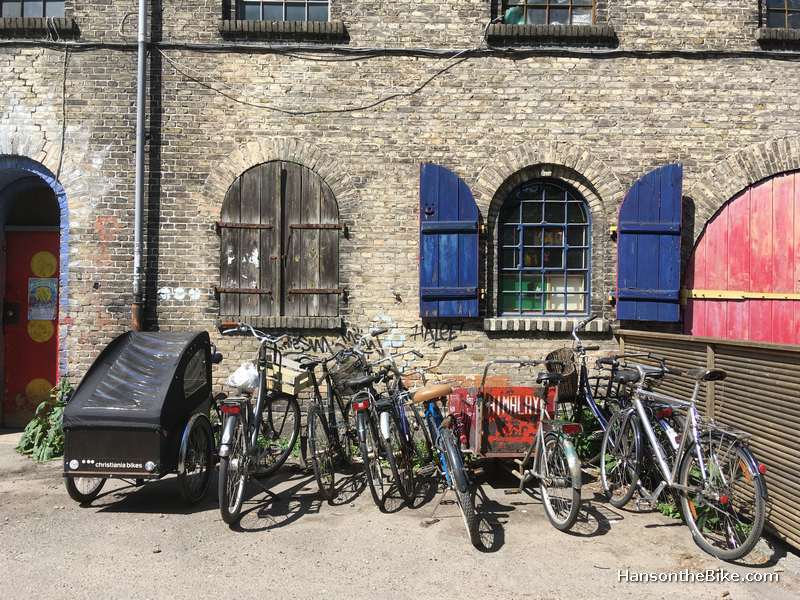 Living outside the city centre also gives a much better impression how ordinary Danish live. It gave me this odd feeling of being in an area of the Netherlands I had never been before. 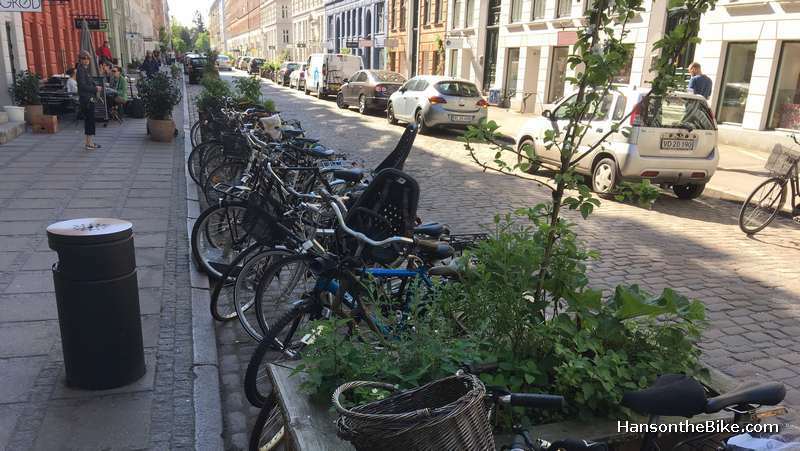 Copenhagen feels very familiar in one way, but different in another way. We decided to rent bikes near the central train station at ‘Baisikeli’ because we would arrive from the airport by a short train ride. 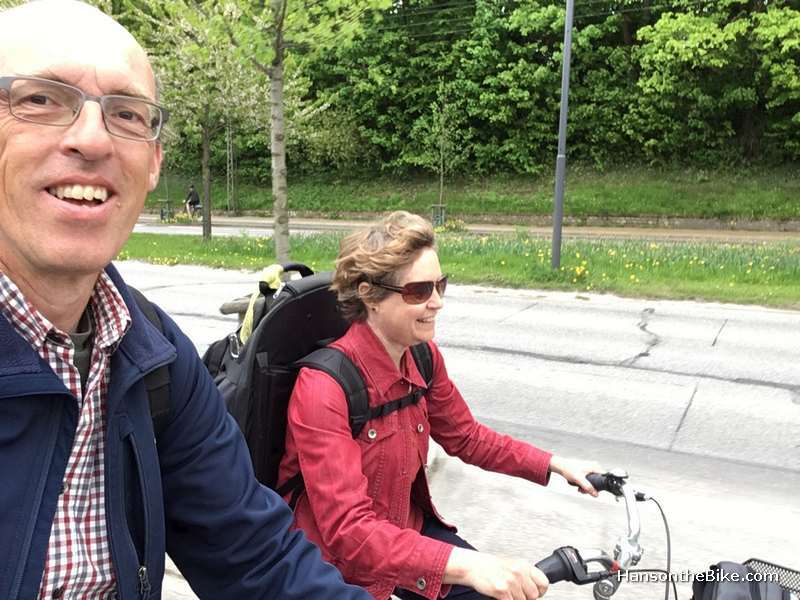 We travel with backpacks and so on a sunny May day we walked to the bike rental place from the station, picked up the bikes and biked to our AirBnB location with backpacks on our back, mostly on raised bike lanes. We had an IKEA showroom like Nordic white apartment with access to a deck and a big garden and a place to park our bikes. Arriving at the train station, you can’t miss the thousands of bikes. But about 2 km out, it is getting a lot thinner already. There are a number of arterials with raised bike lanes, making it easy and safe to bike into town. 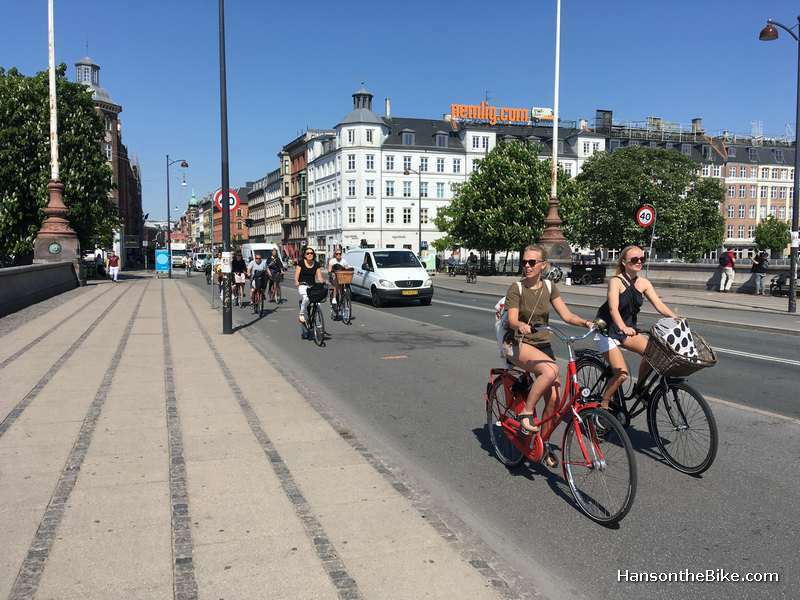 I had never noticed in photos of Copenhagen the shared lanes at intersections. Your bike lane stops about 100 ft before the intersection and merges into right turning ‘car’ lanes. Now I understand better where the ‘Copenhagen left’ comes from. We have been copying that cheap temporarily solution in Ottawa, but I am happy to see that Ottawa ups the ante and is implementing more and more Dutch style intersections now. Copenhagen is not a very snowy city. If it was, these signs would be much higher above the ground. But at least there is some wayfinding. The weather was unseasonally warm and dry, allowing us to bike everywhere. We chose to be outside as much as possible rather than going into museums after coming from a cold Canadian winter. 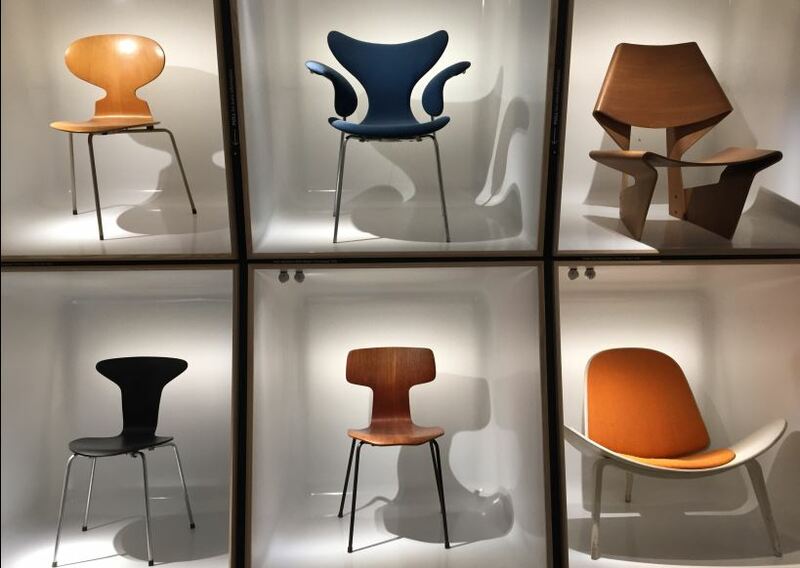 On the list was the design museum though, which is in the old quarter near the harbour. The museum starts out a bit stuffy but further in it becomes more interesting. The Alessi Phillippe Stark 1990’s fruit juicer is in the museum already and so is postmodern furniture. It is worth browsing through the museum’s book store section. 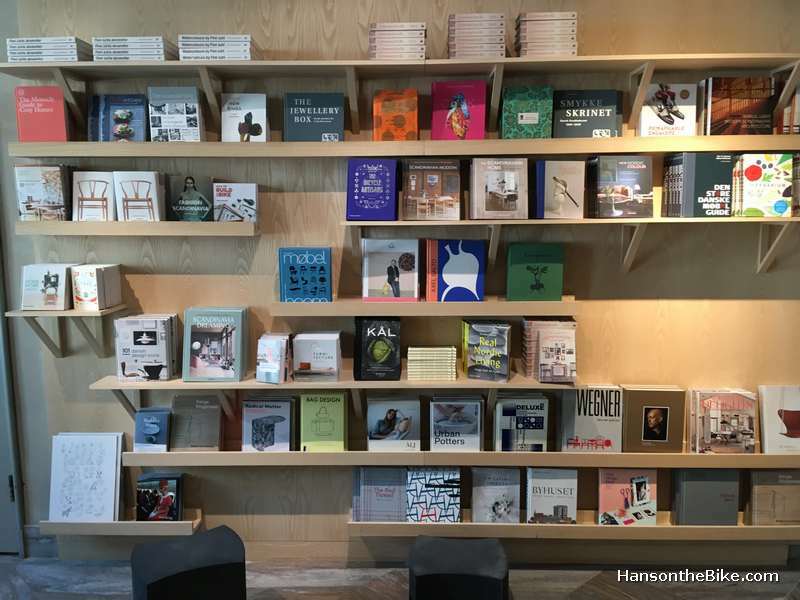 Some really nice books to drool over. One of the other sites we visited was the tower of the Church of our Saviour (Vor Freisers Kirke) with its steps around the outside of the cork screw spire. I have serious vertigo. The spire is made of wood and while you are protected from falling 90 meters to the ground by a railing, the railing was definitely not built back in 1752 for men 6.2′ (187 cm) tall. Clinging to the outside of an eighteenth century wooden spire, I was afraid at 270 ft high. Amaliahaven is a garden/park along the waterfront which I thought was quite special as it is more of a sculpture than a traditional garden. 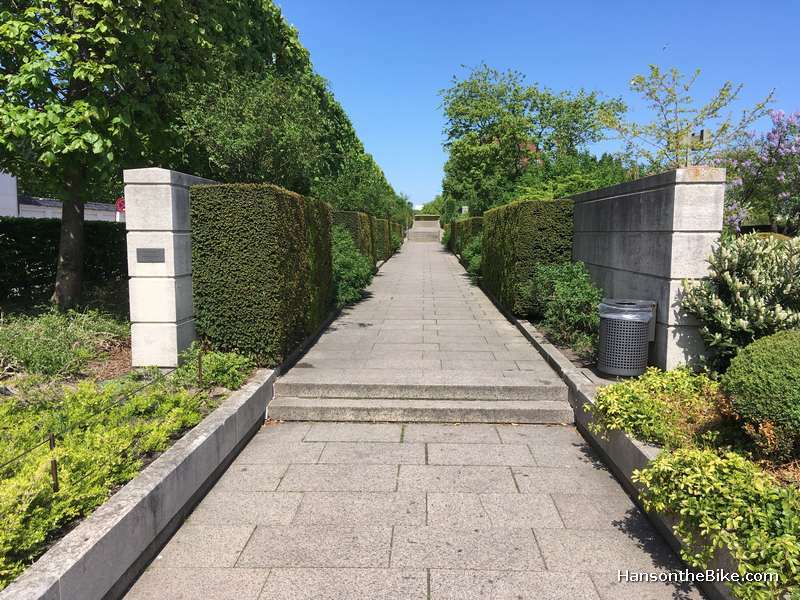 The garden is a gift from the AP Møller Foundation to the Danish people and is designed by the Belgian landscape architect Jean Delogne. 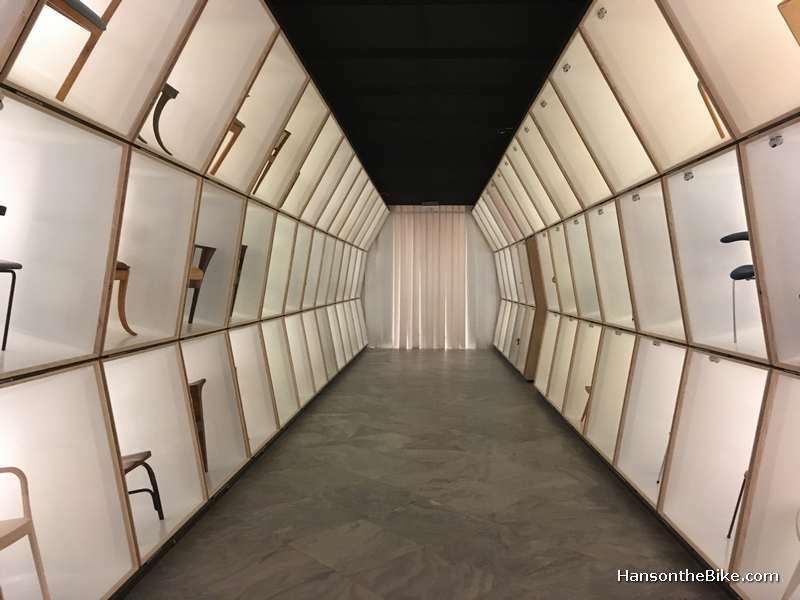 You will find four bronze columns by Italian sculptor Arnaldo Pomodoro. Although it does feel a bit Brutalist with it is angular trim to part of the vegetation and design, it was actually only built in 1981-1983. 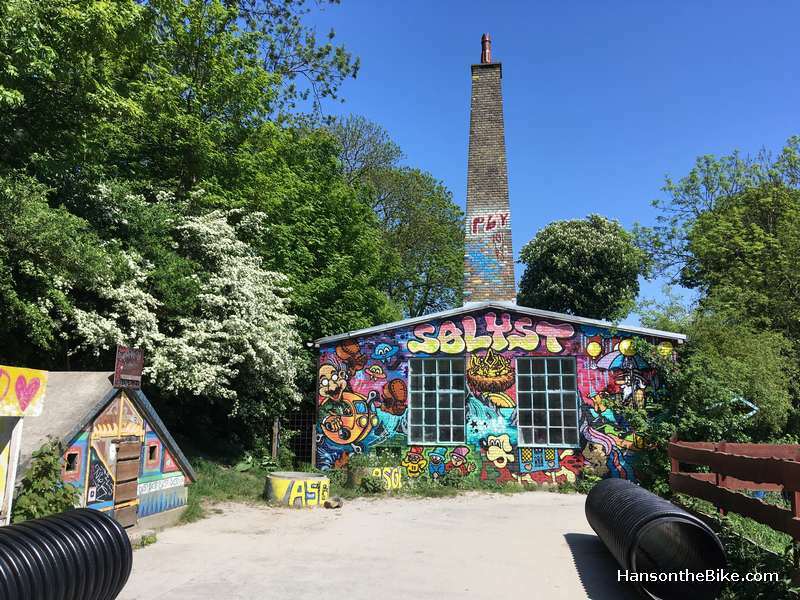 You can’t really go to Copenhagen without at least checking out Christiania, an interesting experiment as an intentional community and commune in an older part of Copenhagen. You can read a lot more here. While I don’t get excited about pot openly for sale, I did think it was fun to walk through the area and see some of the historic buildings and some of the homes. It feels like that mix of (wannabe) 1970’s hippies meet modern pot mass tourism. 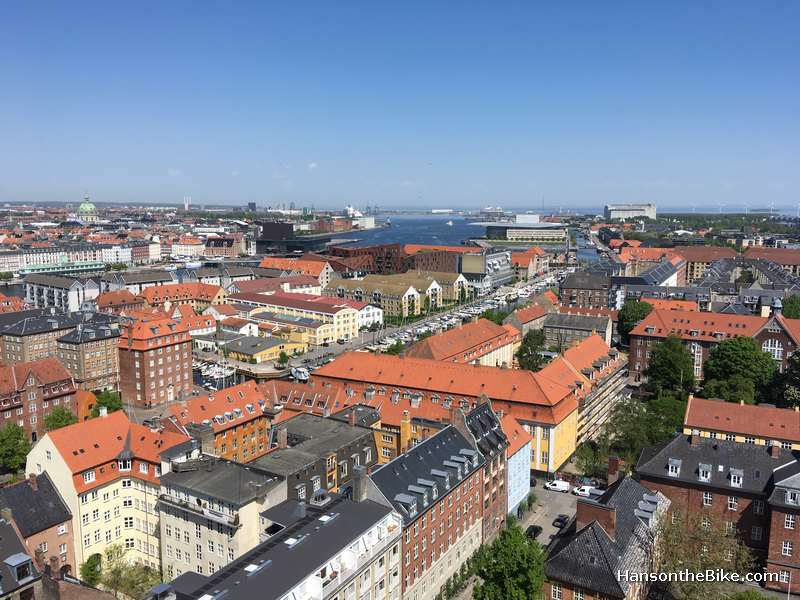 Should you go to Copenhagen? You should. It is an inspiring city if you are into urbanism. It is a very pleasant city to be for a few days. We enjoyed just biking and walking around and watching families in cargo bikes. 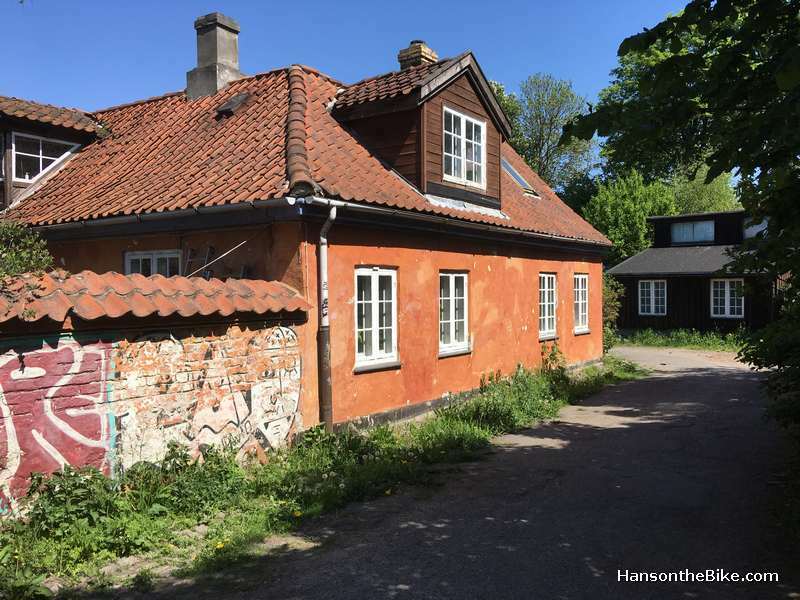 The downtown is quite overrun by tourism, but go out a couple of kilometers and you’ll find that calm Scandinavian, somewhat sterile don’t rock the boat life style. Next week I will show some infrastructure photos I took during our visit. Will we approve (cliffhanger)…? 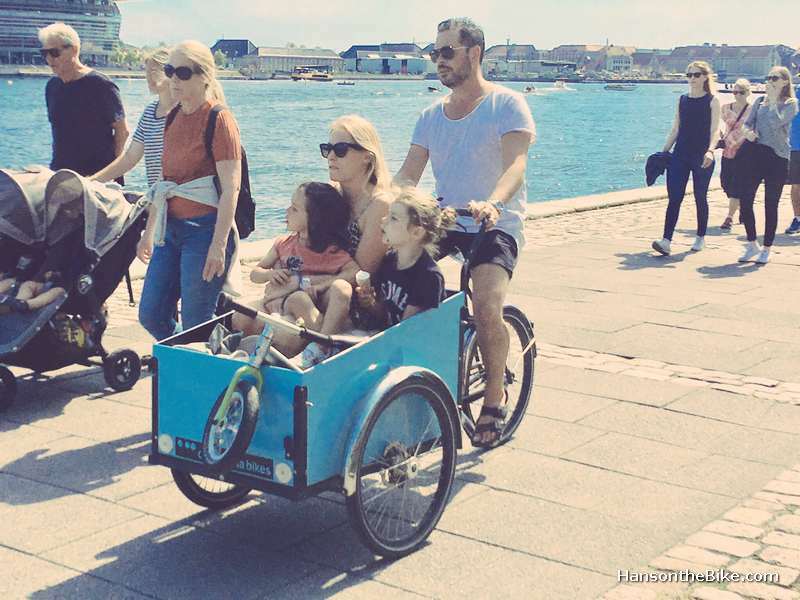 More than once did we see an entire family in a cargo bike. 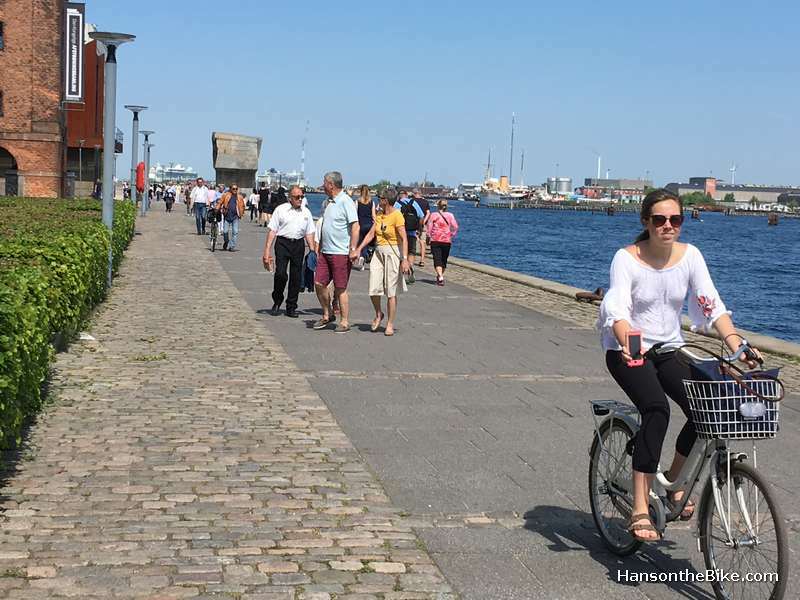 If you like to read what I thought of the cycling infrastructure, here is a blog with some cycling infrastructure photos I took during the same visit in Copenhagen: Copenhagen on the bike.